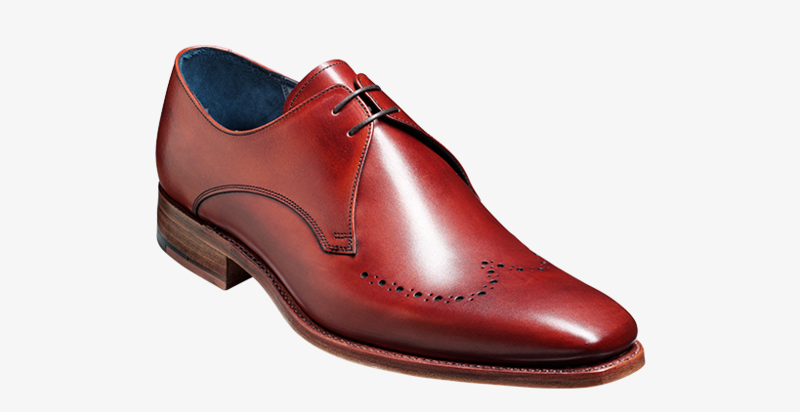 Rosewood coloured shoes are fabulous to look at, and are a real differentiator when it comes to something that little bit special in men's shoes. The Rosewood colour is rumoured to have come about as somewhat of a happy mistake - a mixture of Tan and Burgundy - when someone who was polishing a pair of tan shoes accidentally lifted a burgundy coloured polish. Since then the Rosewood coloured shoes has become ever more popular and as a result one of the most questions we are asked at Robinson's Shoes by gentlemen who have bought are pair is 'How do I polish them?'. "I use a tan Collonil shoe cream along with a burgundy shoe cream, that you can purchase from us at Robinson's Shoes. Always use the same cloth to apply and shine the shoes- don't be tempted to wash it! On average I use the tan coloured cream about five times for every one that I use the burgundy shoe cream, although this can vary- you should always use your own judgement. Make sure that you apply the shoe cream sparingly....too little is better than too much! After a while the cloth will start to contain so much of the shoe cream in just the right colour build up that it can be used to shine the shoes without any more shoe cream being added as it will have plenty on it. To keep the cloth from drying out and losing the build up of Rosewood colour, keep it in a bag, like a sealable sandwich bag, to help it hold onto the moistness of the shoe cream." That's how you polish Rosewood Coloured Shoes!